Still-life photographer Alexander Bonham-Carter uses his lens as a window to the past as well as the present, reminding us we are the product of what we collect and consume. The Moving Gallery will exhibit the photographer in his first solo effort this fall in its Garden of the Zodiac venue in the Old Market Passageway featuring works from two of his series. 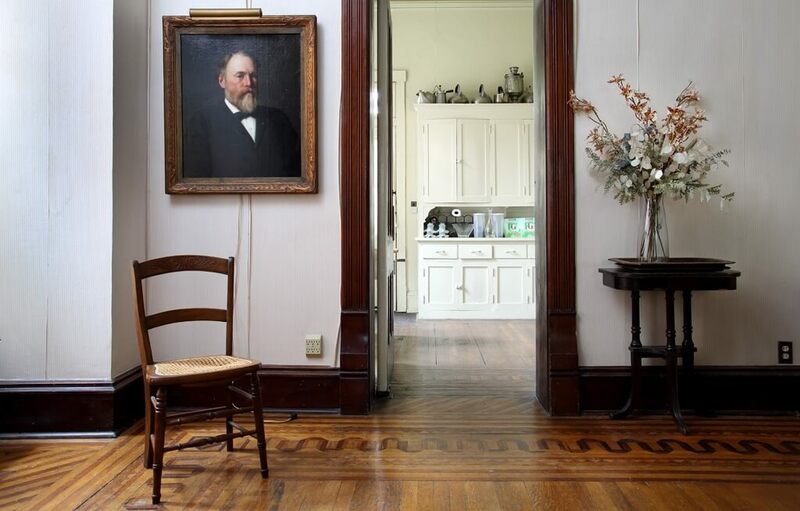 Born in Omaha, but now a Kansas City resident, Bonham-Carter has not only fond memories of the home in which he grew up, but realized in college that he and his fellow students were bringing with them objects that connected them to their pasts, squeezing photos and other collectibles into their cramped living spaces. Belongings, a series of color photographs of domestic interiors, display those uniquely personal treasures that have found enshrinement on the walls, tabletops and bookshelves of our homes. A separate photographic series, Junk Food Misconceptions, seems to challenge the industry’s attempts to “healthify” our favorite comestibles with lame tweaks to their lacking nutritional values. With their juicy cheeseburgers and bowls of sugary cereal placed into fine dining tropes — complete with silver service and linen tablecloths — Bonham-Carter’s emulations of professional cuisine photography smilingly call attention to the veneer of respectability we confer on such guilty pleasures. Alexander Bonham-Carter opens on the evening of September 22 and runs through October 21 in the Garden of the Zodiac Gallery, 1042 Howard Street. The gallery is open Tuesdays through Saturdays from noon to 8:00pm and on Sundays from noon to 6:00pm.